Home / News & Blog / Articles / What’s Better – Aluminium Bifold Doors, uPVC, or Composite? When you’re looking to fit bifold doors in your home, there are several materials from which you can choose. 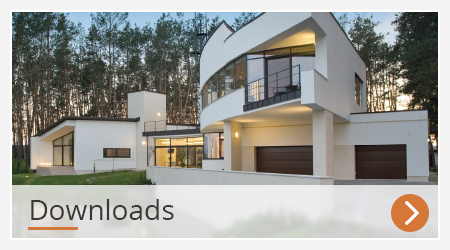 We’re going to take a look at three commonly used materials to help you select the one that best suits your new build or renovation project. Aluminium is a strong and lightweight material that is 100% recyclable with no loss of quality. 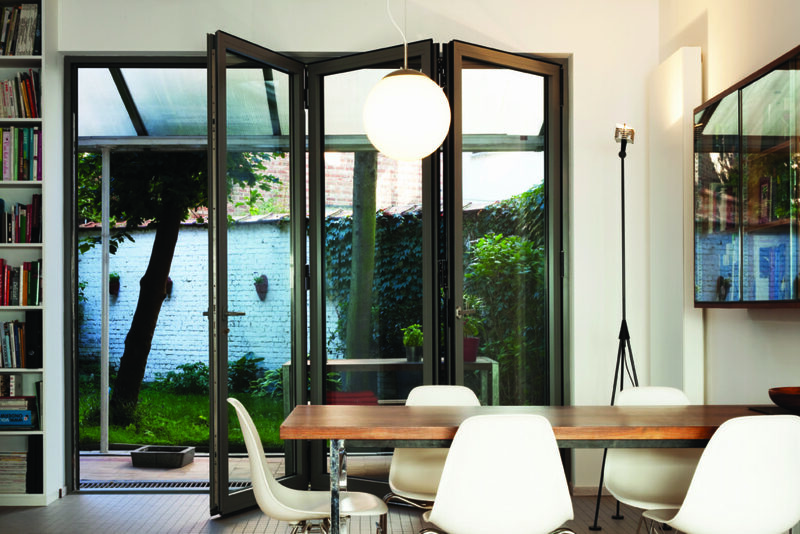 Aluminium bifold doors are usually comprised of aluminium profiles sandwiched around what is known as a polyamide thermal break – a strip of rigid insulation material. The aluminium is then usually covered in a tough powder coat finish that can be matt or gloss, and can be specified in almost any colour. Metallic and textured finishes are also available, and it is possible to specify a different colour inside and out. An anodised finish is usually available as an alternative, though this is more prone to scratching than powder coating. The inherent strength of aluminium is such that the frames can be narrow, like our slim-frame range of windows and doors. This maximises the glass area, and can also be used to mimic the appearance of traditional steel windows. 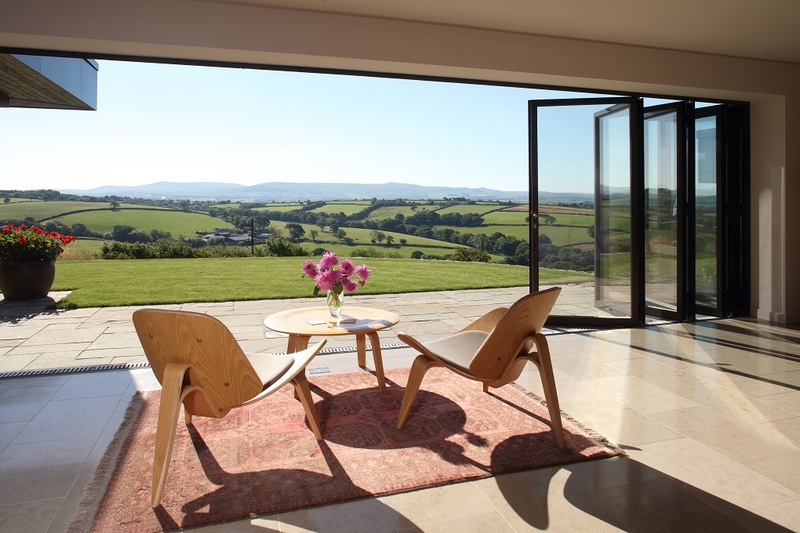 Additionally, aluminium bifold doors are a low maintenance alternative to uPVC, and as aluminium expands just 1mm per metre, it is especially suitable for larger windows and doors. Combined with their slim frames, aluminium bifold doors are some of the most aesthetically pleasing, and suitable for even the most complex architectural projects. What About Composite Bifold Doors? There are a growing number of windows and doors that are made using two or more different materials. For example, the most common combination is to have a timber window that is clad with aluminium on the outside to protect it from the weather. Other composites may comprise of timber and aluminium sandwiched around a layer of insulating foam . While these composites can achieve some good thermal results. Aesthetically, they are not to everyone’s taste and they tend to be amongst the more expensive types of bifold doors. uPVC (Unplasticised Polyvinylchloride) is the same as PVC-U (Polyvinylchloride – Unplasticised) and is widely used in the replacement windows and doors market in the UK. Its popularity is due to its low cost and low maintenance qualities. Traditionally these bifold doors have been white, though more recently a variety of coloured and wood-grain finishes have been available – the colour either being painted on or applied using a thin film called a foil. uPVC bifold doors are usually put together by welding the mitred corners and trimming off the excess plastic, this does leave a groove at each corner that some people find unsightly. There are a few uPVC windows that are made with joints that mimic more traditional timber windows and are screwed together instead. uPVC frames are often designed to incorporate multiple chambers and reinforcement for strength and thermal performance. This can make them perform very well, but has the disadvantage that the frames tend to be quite wide, leaving the bifold doors with a lot of plastic and a relatively small area of glass. uPVC expands and contracts by as much as 3mm per metre with changes in the ambient temperature. This means that whilst uPVC is a good low-cost material for smaller windows and doors, it is less suitable for larger openings. However, depending on your needs, uPVC bifold doors are some of the most cost effective on the market. 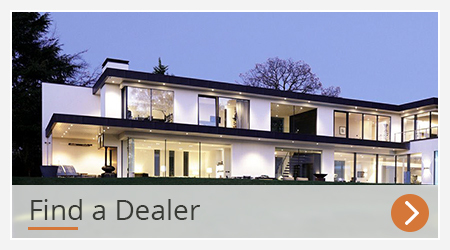 If you don’t want to compromise on quality or performance, then view the range of aluminium bifold doors from Reynaers at Home. Previous We’re Fitting Panoramic Windows, Where Should They Go?